DAVID LE/Staff photo. 2/25/15. 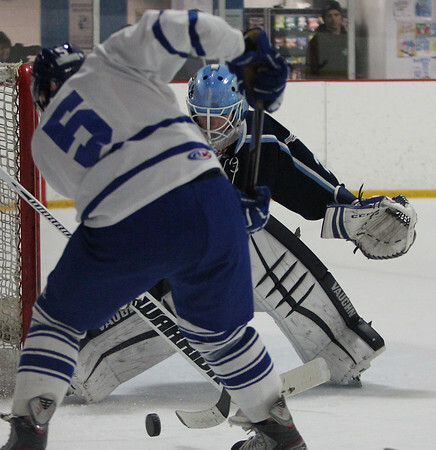 Peabody sophomore goalie Aaron McDonnell keeps his eyes on the loose puck in front of him as Danvers senior TJ Deinstadt (5) tries to corral the puck.